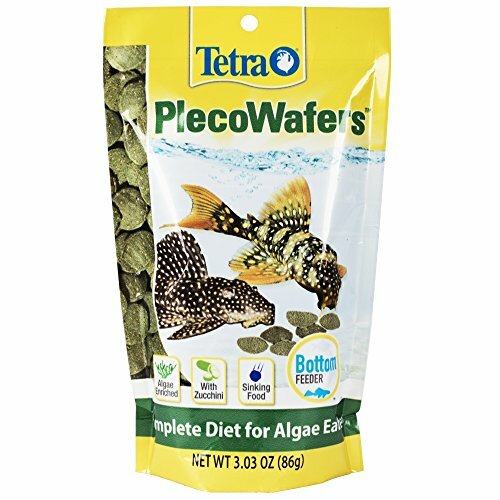 Algae Wafers were specifically developed for the hard to feed plecostomus and other algae eating bottom feeders. Hikari was the originator of this diet, now copied by many. Accept no substitutes, request the first and finest, Algae Wafers. 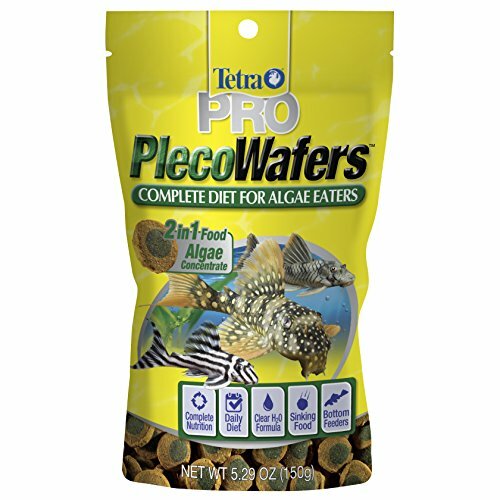 Algae Wafers were specifically developed for the hard to feed plecostomus and other algae eating bottom feeders. Hikari was the originator of this diet, now copied by many. 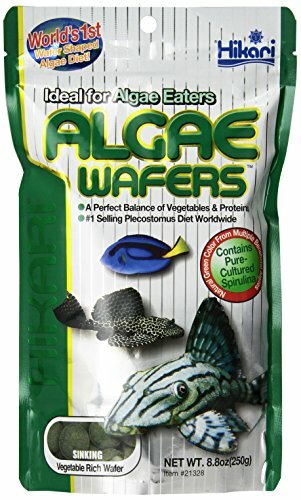 Accept no substitutes, request the first and finest, Algae Wafers. 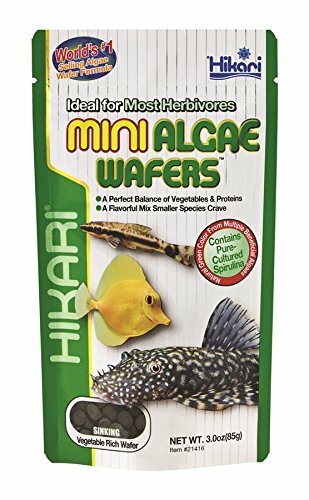 In 1991 when we launched Hikari Tropical Algae Wafers, no other food existed to help keep plecostomus healthy. There were many reports of Plecostomus getting thinner with each passing day. To address this problem, Hikari began researching raw materials and production techniques to develop potential diets. After considerable experimentation, we developed the best ingredient formulation possible. Next we had to develop a pellet the fish would eat, one that wouldn't dissolve in water and allowed the nutrition to be accessed readily. The revolutionary disk shape was chosen because it complimented the way plecostomus eat. Of course over the years our Hikari Tropical Algae Wafers have saved many plecos and become a sales leader worldwide. Today, there are many copies, but the fish that count know nothing is better and its their opinion that's important to Hikari. Fish food. Perfect balance of vegetables and proteins. 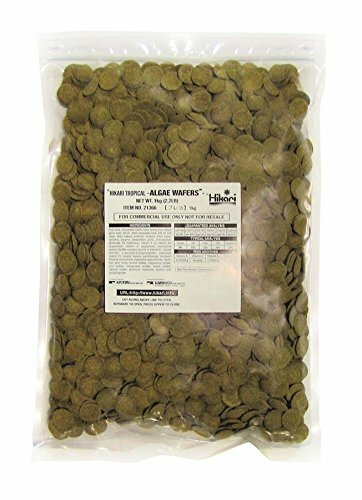 Flavorful mix smaller species crave.-Ideal for most herbivores. Contains pure cultured spirulina. Available in 0.77 oz., 3 oz. and 2.2 lbs sizes. 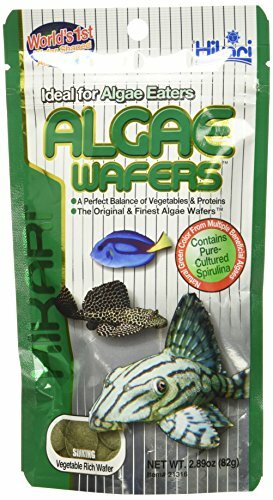 The breakthrough formula of API ALGAE EATER WAFERS Fish Food includes a unique, nutritionally enhanced protein to ensure easy uptake of nutrients and enhanced absorption. Fish more readily use the nutrients and release up to 30% less ammonia, for cleaner, clearer water. The result is healthier fish living in a healthier environment. 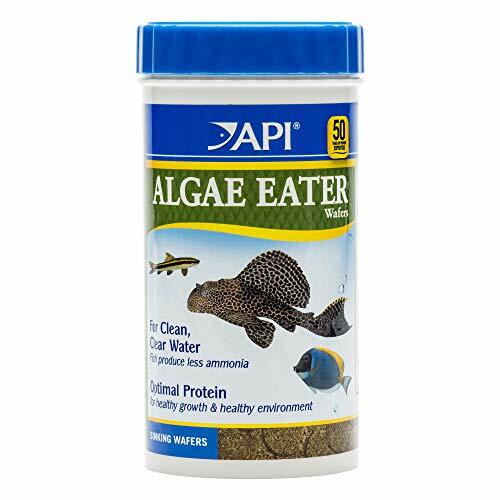 API ALGAE EATER WAFERS Fish Food contains a rich blend of algae plus Omega-3 fatty acids to help promote healthy growth. This unique formula also contain alfalfa, a good source of fiber. 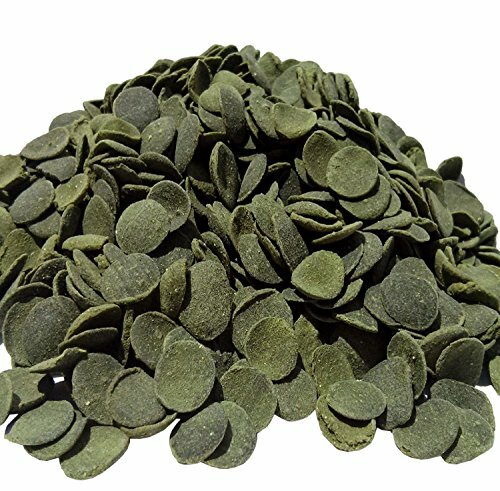 API ALGAE EATER WAFERS Fish Food is a complete & balanced diet to meet the nutritional requirements of all algae-eating fish, including Plecos (Plecostomus), Ancistrus and Otocinclus. API Fish Food is formulated for a variety of popular fish such as cichlids, goldfish, tetra, betta, angelfish and more with high quality ingredients fish love such as algae, shrimp, worms and more. Keep your fish healthy, happy and colorful with food that contains optimal levels of nutrients as well as helps produce less waste, toxins and stress. For delayed release try API VACATION and WEEKEND PYRAMID FEEDERS. 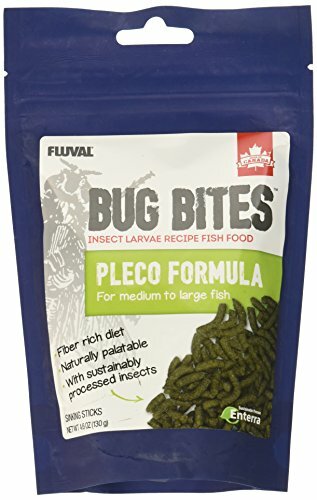 Fluval Bug Bites is a complete fish food that features a unique insect-based formulation, enriched with multiple quality proteins and carbohydrates that are ideal for Plecos. 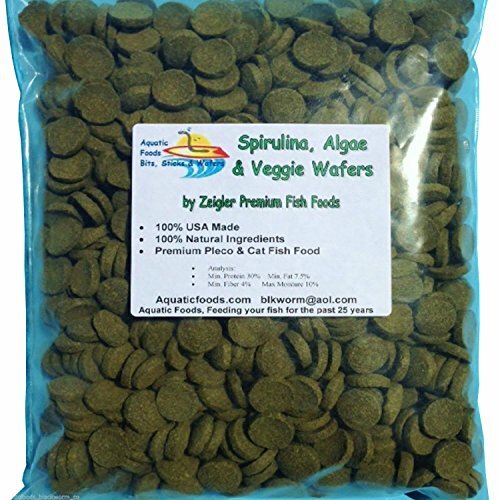 Compare prices on Algae Food at LiveSaler.com – use promo codes and coupons for best offers and deals. We work hard to get you amazing deals and collect all avail hot offers online and represent it in one place for the customers. Now our visitors can leverage benefits of big brands and heavy discounts available for that day and for famous brands. We try to makes comparison shopping easy with Product Reviews, Merchant Ratings, Deal Alerts & Coupons. Find Deals, Compare Prices, Read Reviews & Save Money.